EXECUTIVE SUMMARY: The reluctance of the international community to act forcibly regarding undeclared Syrian chemical weapon capabilities is a very bad sign. It raises doubts about full implementation of intelligence-gathering operations and effective monitoring of the Iranian nuclear program. This is all the more so, given the skillfulness, sophistication, and determination of Iran’s counter-intelligence apparatus. 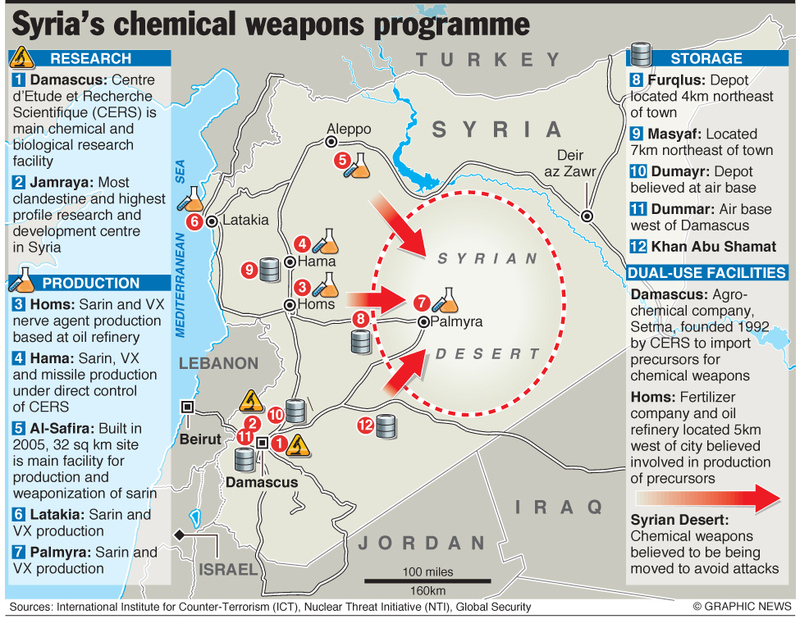 While nearly all of the chemical weapons (CW) capabilities declared by Syria have been destroyed – certainly an appreciable achievement – it has become increasingly clear that the declared quantities, components, and facilities constitute but part of the full picture. The operation to chemically disarm Syria, conducted by the Organization for the Prohibition of Chemical Weapons (led by the US but also involving Britain, Germany and Finland), has apparently reached a crossroads. The US Central Intelligence Agency initially accepted and trusted the Syrian declarations, whereas the US Defense Intelligence Agency doubted their reliability, to say the least. Recently, however, a shift has occurred, and the CIA is now fully convinced that the list of assets disclosed by the Syrian regime was incomplete. Over the past year, after the elimination of its CW arsenal was supposed to have been completed, Syria has unveiled the existence of additional facilities. Further facilities were discovered by the inspectors; significant (and occasionally farcical) gaps and inconsistencies remained unexplained regarding the coherence of the data provided by Syria; and access by inspectors to certain installations and to several production plants was obstructed. Syria’s conduct has even included the concealment of highly-valued equipment within “large goods vehicles” (a tactic highly reminiscent of an Iraqi modus operandi). The Syrian regime clearly intended to hide a series of facilities. The regime probably assumed that there was a low probability of these facilities being discovered by the West or seized by ISIS or rebels forces. Perhaps the regime had a planned timetable for rescuing the contents of these facilities (extraordinarily classified capabilities in particular), or considered them essential for the regime’s survival. These considerations could have been influenced by Russia and Iran, taking into account the fact that Russia joined, at least outwardly, the American effort to disarm Syria, and that Iran (together with Hezbollah) is the main foreign element fighting ISIS in Syria. Russia and Iran are most likely much more familiar with the real remaining Syrian CW capabilities – as well as with the related past and ongoing Syrian maneuvers – than Western intelligence organizations. The last mentioned consideration – strategic essentiality for the survival of the regime – might be a crucial factor. Increasingly worried about his military position, Assad could expand the employment of CW (chiefly chlorine, during the last year) in order to aggressively defend his core territory. VX, in addition to sarin, could also be very useful for that purpose. Assad may resort to such an option, despite the fact that the international community would almost certainly not tolerate it. If this option becomes necessary for his survival, and is the only option open to him, he will expectedly exercise it – and international opinion be damned. The full chemical disarming of Syria remains highly desirable for a number of reasons: To completely terminate Assad’s CW capacities; to prevent Assad from transferring such capacities to other parties (either inside or outside Syria), particularly Hezbollah; and to prevent the capture of CW by ISIS, an extremely fanatic and brutal organization. However, the Syrian regime has repeatedly exploited, time and again, the civil war and the confrontations with ISIS and the rebels as an excuse for impeding inspections activities. Regime representatives have been able to prevent the inspectors reaching a specific location by simply stating that it is too dangerous. If an inspection team ignores this advice, there are a number of options to ensure it does not reach its destination, the ultimate one being a physical attack, deniable under the “fog” of the civil war. In addition, The Wall Street Journal reports that inspectors admit they have methodically avoided challenging the regime, although challenging should be an integral part of their mission. They feared a deterioration of the security provided to them (by the regime, as against ISIS and the rebels); and, moreover, their mission has throughout been strictly oriented to the elimination of the declared CW capabilities, rather than concomitantly conducting a demanding search for undeclared ones. That is precisely what Damascus was expecting. Beyond all of this are the issues of chlorine attacks and ricin toxin. The employment of weaponized chlorine by Syrian helicopters is almost routine, and, although forbidden, is tolerated by the international community. It has proved to be appreciably effective, usually taking the form of dropped chlorine-filled barrels. ISIS has also used chlorine in Syria. Almost systematically, ISIS has deployed chlorine gas-based chemical weapons against Iraqi government forces (for several years), Syrian government forces, and Syrian opposition forces, and has used unidentified CW against Kurds in Kobane. Notably, the chemical plant SYSACCO, 30km east of Aleppo, was taken by rebel fighters from the al-Nusra Front. 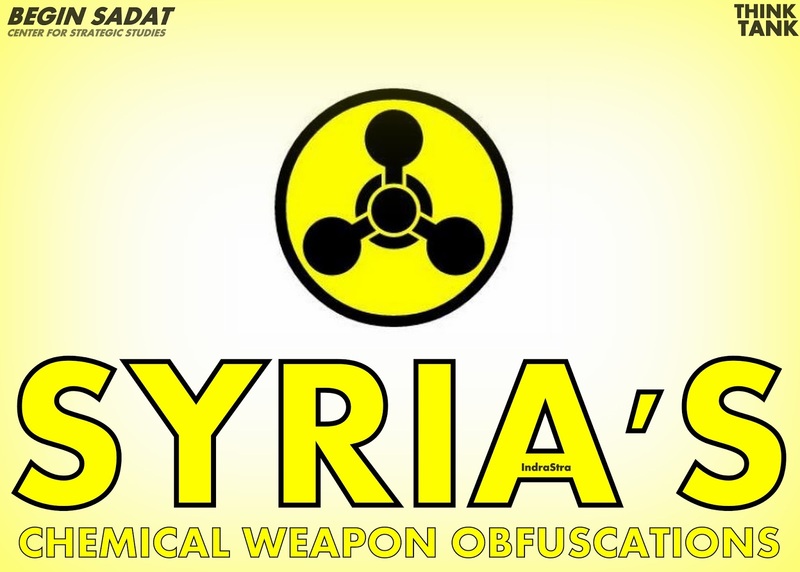 The factory produces chlorine, among other chemicals, and Syria’s ambassador to the United Nations stated that terrorist organizations stole about 200 tons of chlorine gas from the factory. Additionally, Syria has also declared its ricin project, a highly lethal biological toxin that was weaponized in the past by the USSR and USA. This declaration was made only in retrospect, and under rather suspicious circumstances with poor justification. The related plant is the Al-Maliha Ricin Production Facility, which might be just the tip of an iceberg. Of all the powers, only France tried to pursue this issue, and sought a crucial UN Security Council resolution calling on Assad to reveal his entire biological program as well. Unsurprisingly, the Russians would not hear of such a thing, whether due to nefarious motives, or practical motives, or both. Taking a broader perspective, there are lessons to be drawn from this Syrian weapons monitoring experience and the current debate over the P5+1 accord with Iran. Monitoring weapons-of-mass-destruction programs in general is inherently difficult, due to the constant need for updated intelligence that distinguishes, foremost, between dual-use and single-use technologies. Moreover, the required intelligence must cover a range of types of facility, both in the military sector and defense establishment civilian sector, as well as certain facilities that are ostensibly purely civilian. It must also provide details of their locations, contents, and activities. Inevitably, such intelligence tasks are often very complicated. The same complexity pertains to the nuclear sphere. Effective implementation of the Iran nuclear deal is subject to good intelligence and effective monitoring. The reluctance of the international community to act forcibly regarding the inspections regime in Syria, in particular with respect to investigating its undeclared CW capabilities, is a very bad sign. It raises doubts about full implementation of intelligence gathering operations and effective monitoring of the Iranian nuclear program. This is all the more so, given the skillfulness, sophistication, and determination of Iran’s counter-intelligence apparatus.